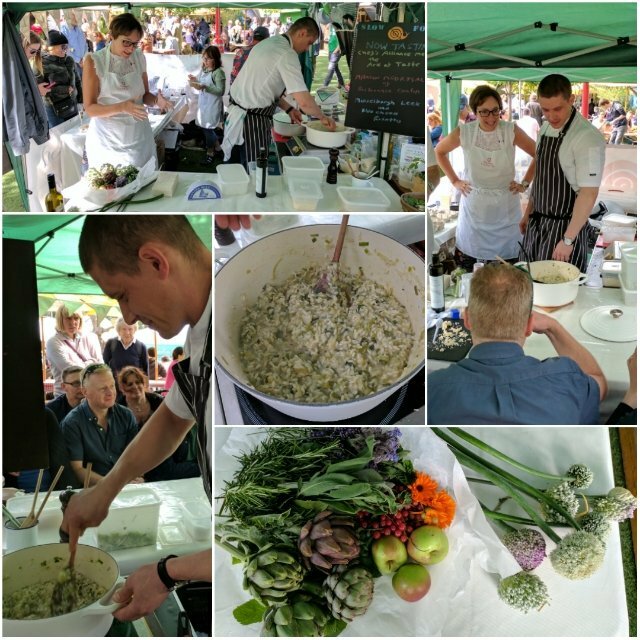 Last week our fabulous senior head chef Marcin and fellow member of the Slow Food Chefs Alliance joined me to host a brilliant al fresco demo at The Edinburgh Food Festival for Slow Food Edinburgh. What a team our Slow Food foodie friends are. 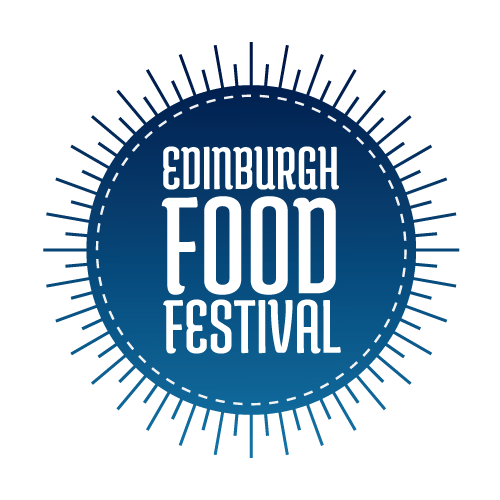 All volunteers there to support a worthy cause of champion and sharing the message of good clean and fair food. Well done team Slow Food. There was an artisan cheese tasting, strawberry tasting, canapes for sale and the Slow Food Youth Network were sharing all their stories and great work too. Watch my interview with Marcin here. Marcin did the cooking and I did the talking. Good team! Marcin well done everyone said the risotto was delicious. Victor was on hand rallying the crowds – oh he loves a megaphone! Here’s the recipe for you to cook at home. A real Scots Italian Recipe what a special combination of heritage ark of taste Leeks, artisan Scottish raw milk cheese and some Italian classic risotto rice (note we use Vialone Nano rather than any other variety to give a lovely bite put a super creamy consistency) and family cooking all in one. Can’t be beaten. 1. Choose a heavy based casserole pot and add a knob of butter and the same amount of olive oil. Fry the grated shallot until soft and golden. Add the risotto and toast for a minute or so. The pan will be hot so keep moving the rice to ensure it doesn’t stick or burn. 2. Add the white wine and cook off. Add the leeks. Lower the heat. Next season with a little salt and a ladle of the hot stock. When the stock has cooked off, slowly add more stock a little at a time ensuring the stock is cooked off each time. Continue to do this for about 30 mins. The stock should be all cooked off and the rice should be creamy, quite sticky but as wet as good porridge. 3. When the risotto is al dente and has a slight bite, remove from the heat. Then add the handful of grated Parmigiano and the Lanark Blue. The cheese can be quite salty so check seasoning at this stage. 4. Stir in a lump of unsalted butter and allow to rest for 5 minutes.